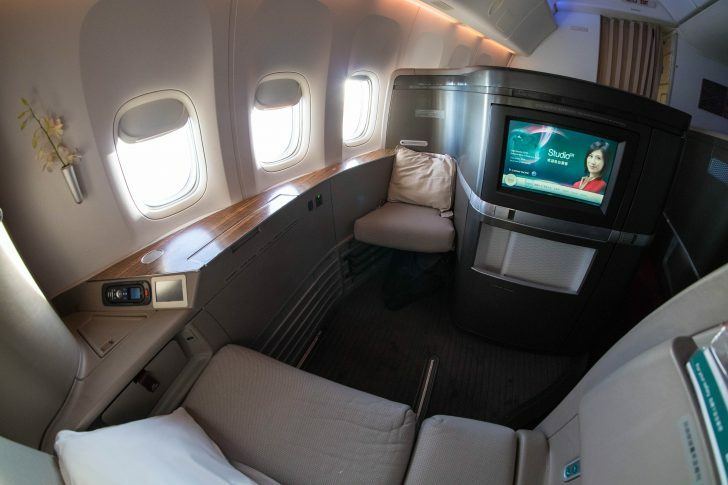 The airline offers a high-frequency schedule between Australia and Hong Kong and onto a wide network of destinations, comfortable lie-flat Business Class seats, and generous award availability. 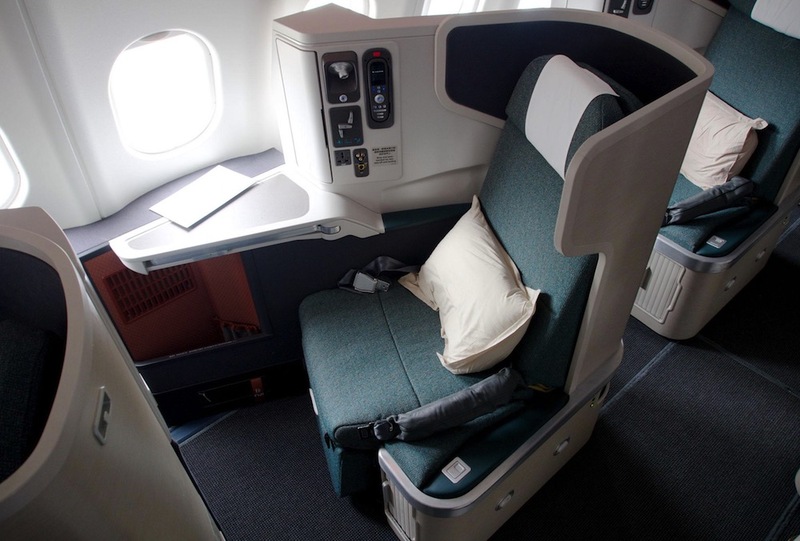 In this guide, I explore Cathay Pacific’s routes, aircraft and premium cabin products, teach you how to calculate how many points you need for your next trip on the airline, analyse which frequent flyer programs offer the best value, advise how and when to book an award seat, and provide links to Point Hacks reviews of Cathay Pacific flights. 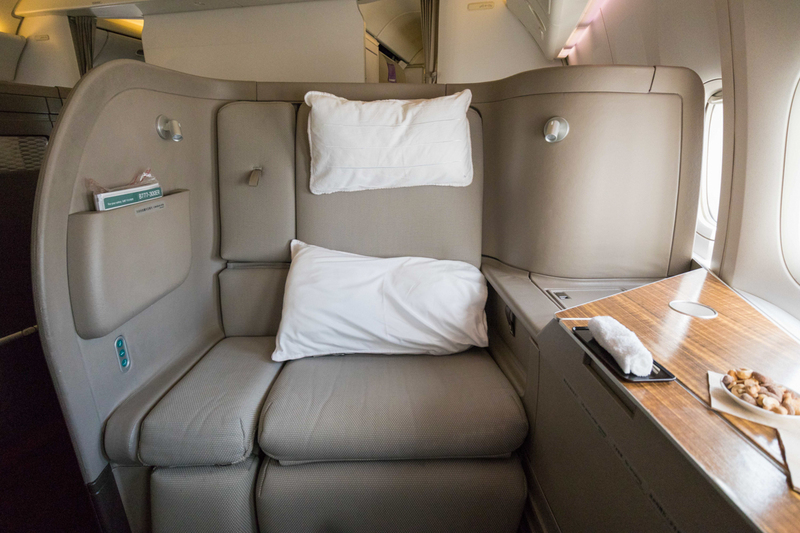 These are the cheapest ways to experience Cathay Pacific First Class using Qantas Points, with Hong Kong – Taipei and New York – Vancouver being two highlights. The most modern aircraft in the fleet, the A350, is gradually replacing the older A330s. 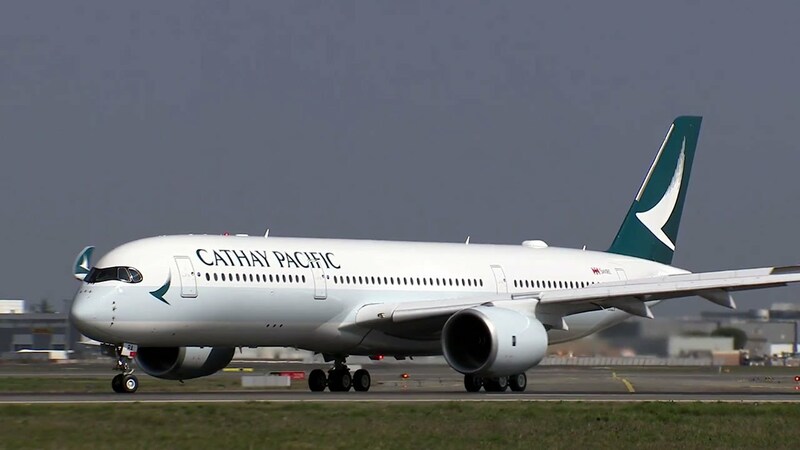 It has been introduced between Hong Kong and Melbourne, Brisbane and Perth, with Sydney to follow from 27 October 2019. 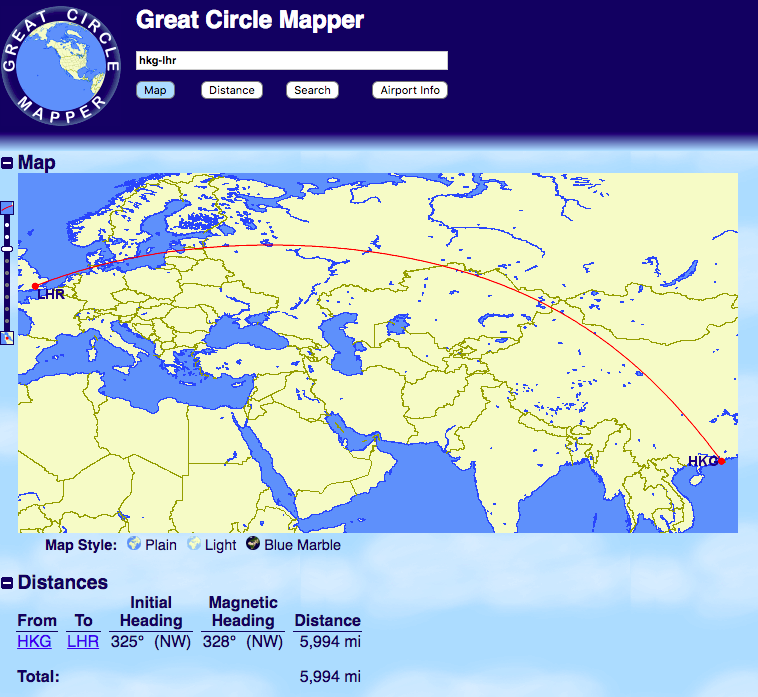 Say you want to book an award flight from Hong Kong to London Heathrow. Step 2: Depending on which points currency/ies you have access to, go to the distance-based Asia Miles or Qantas Frequent Flyer award chart or British Airways Executive Club calculator to determine the points cost of your redemption relative to the distance, cabin and one-way/return trip. AAdvantage and Alaska Airlines Mileage Plan have region-based award charts, so you don’t need the exact distance for those ones. When clicking through to the Asia Miles award chart, I can see my 5,994-mile trip to London Heathrow would cost 65,000 one-way/130,000 return in Business Class. 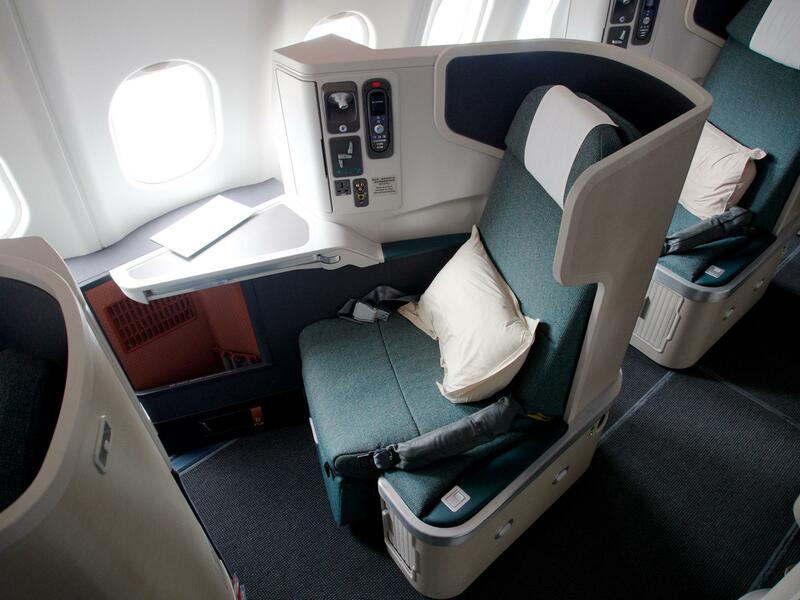 Historically, Cathay will also then release most unsold First Class seats 24-48 hours before departure. 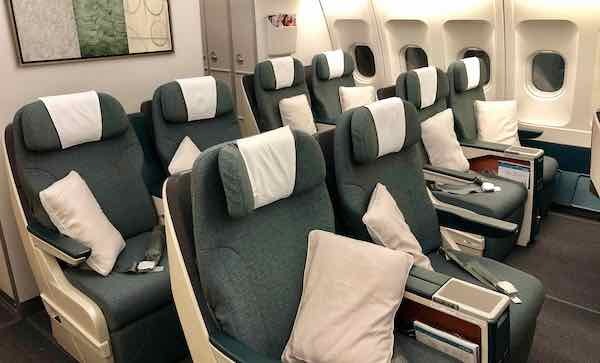 If you’ve got access to Asia Miles, Qantas Points, Avios, AAdvantage or Mileage Plan miles, then a Business or First Class redemption on Cathay Pacific will most likely get you good value out of your points, as well as a professional and comfortable experience both on the ground and in the air. Do try to line up your flights so they provide you with a modern aircraft and product, and take advantage of free stopovers with Asia Miles and Mileage Plan redemptions. Well that’s an interesting article. The first paragraph answered the question I have had for 2 months. We are planning a trip next Sep / Oct starting with MEL-ZRH. For 2 weeks from 6 or so days short of a years ahead there used to be CX seats on M T W at least. Two months ago these disappeared. For this reason I have been buying more wine so I can get on an Emirates flight if I have to. (Tough job but somebody’s got to do it). At present there are mostly Emirates and occasional Qatar flights from 6-8 months out reasonably solidly for MEL-ZRH. Just checked on another leg JFK-MEL and quite a few CX flight have reappeared just short of 12 months ahead although they do seem to come and go. 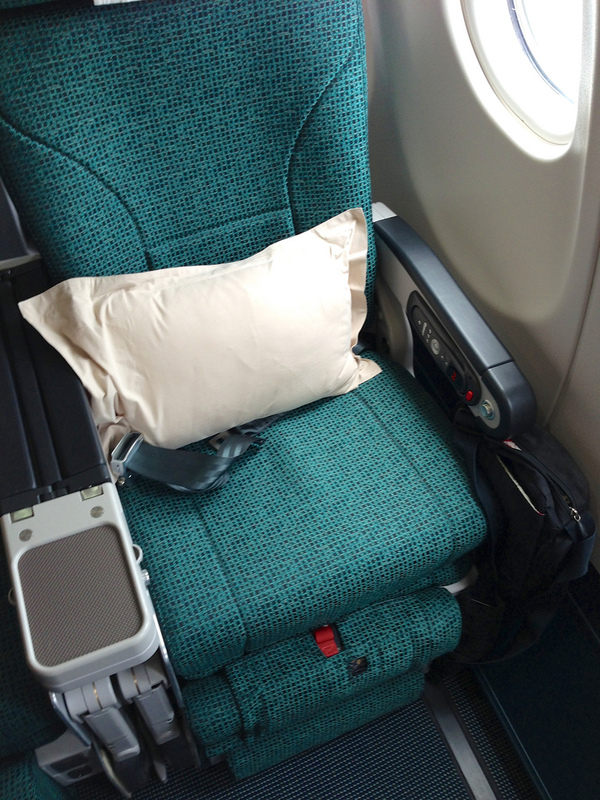 Just checking re Alaska Miles – Biz Syd – Vancouver – 60K = 1330USD? (Current buy rate incl bonus) Bargain compared to Qantas! SYD-YVR on CX is not allowed on AA. Their routing rules prevent traversing a third region is most cases, and this being one of them. Yes, you’re right! Pesky AAdvantage. Table updated. CX’s own website it the best place to look for reward availability. BA can also be a useful website to check CX award availability (you need to check ay by day) since it doesn’t show all the EK options like the QF site. 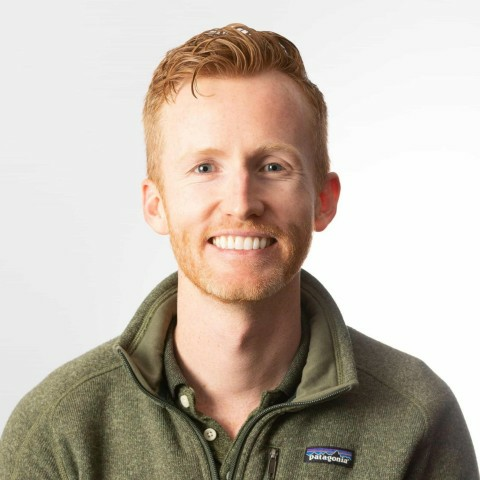 You cannot see CX on the AA and AS websites. IME the Cathay Pacific site shows more availability than QF at times. Also, when there seems to be availability on CX website, both AA and AS don’t always get those seats. Given better access to reward seats and the reasonable redemption rates using CX AsiaMiles, I tend to have a back up of a stash of points sitting in AMEX / VISA CitiRewards points ready to transfer to CX in case I need to redeem directly through CX should AA and AS not get access to reward inventory. Strangely, CX is a potentially good way of spending QF points if you already have them to use up – the reason being the lack of fuel surcharges on CX booked reward flights. 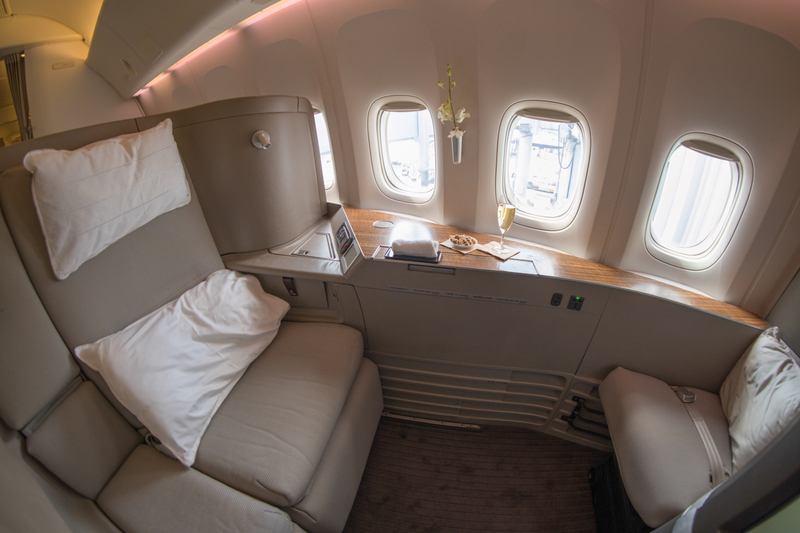 To note – the HKG-FRA sector slips into a lower reward bracket than most European destinations from HKG, so can be relatively good redemption using QF points into a premium cabin (if you have the QF points to use up). 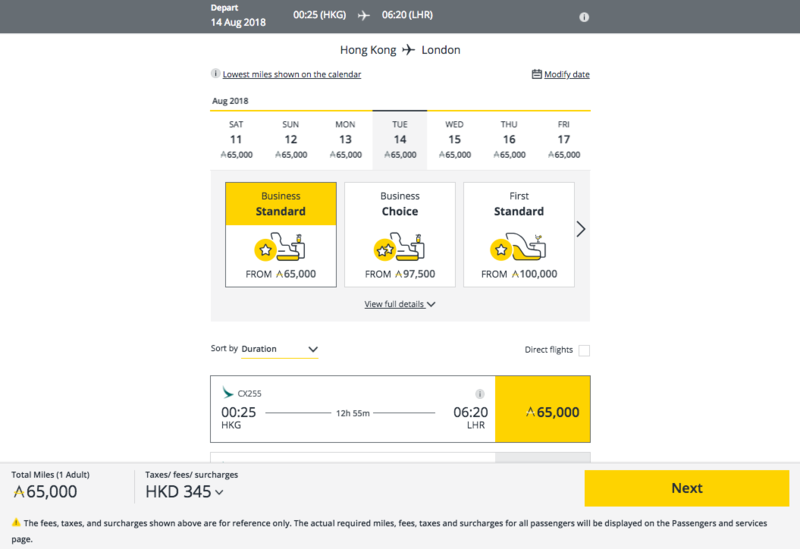 Also to note that HK Airlines flies to HKG from OOL and CNS and may offer fares of better value than using points – they have a.ie flat business class product. Thus opportunity to use paid fare to HKG and points thereafter to USA / Europe etc. 30k AS miles for J Australia only applies to HKG. If you want to fly onwards within Asia you need a separate ticket. Cathay. Alaska site doesn’t allow a search from PER to HKG as stated above it says to call them. But before calling them is the best way to find availability be doing searches on any sites, eg Qantas?? So I have a clear picture of whats available instead of trying to negate over the phone? Yep, better to do your own searches first and write down your desired dates and flights to save everyone time.